Hello dear foodies! 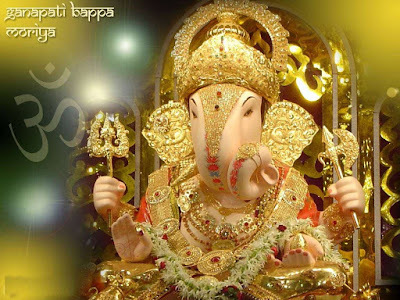 Another celebration in India today – Ganesh Chaturthi! Almost all the Indians are celebrating this festival. Lord Ganesha is not only prayed but also loved by all Indians. Lord Ganesha loves to eat ‘Modak’, a special sweet dish; but he do not refuse anything, his admirers offer with love! Ganesha is so much foodie like we Indians, and that’s why we pray him like as our friend, son, brother – a part of our family and as we like to see him! 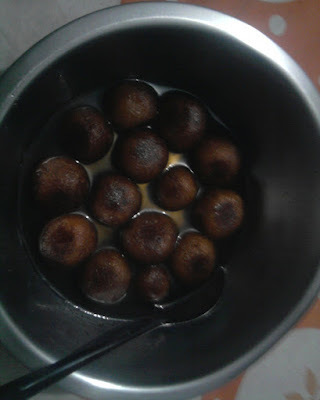 This year, I want to make Gulab Jamun for Lord Ganesha, for a change! Let’s see, how he likes it! Mix the grated khoya and mashed chenna along with soda bicarbonate, refined flour, green cardamom powder and a little water to make a soft dough. 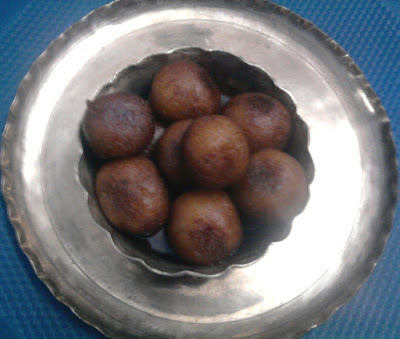 Divide the dough into sixteen equal portions and shape into balls. Heat ghee/oil in a kadai. 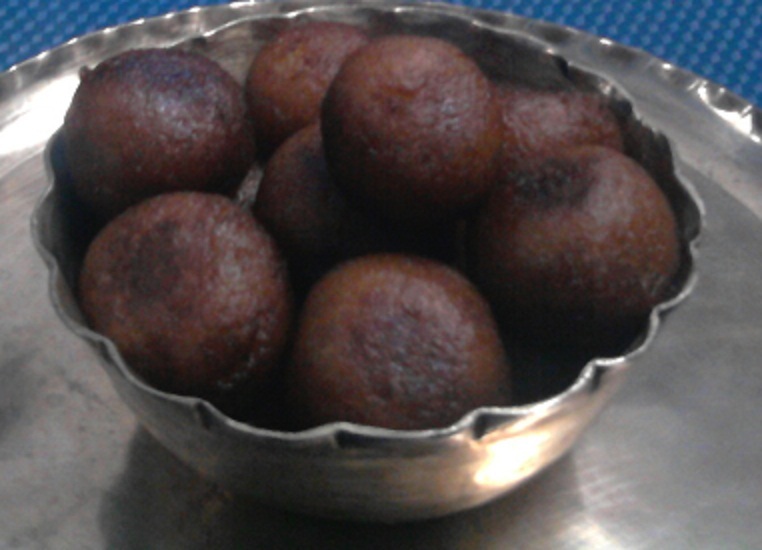 Add the balls and deep fry on low heat till golden in colour. Soak the fried balls in the sugar syrup for atleast fifteen to twenty minutes before serving. Serve hot or cool to Lord Ganesha with lots of love. I'm definitely gonna try this recipe. Thanks for the awesome recipe. Let me know, how it was! I tried this yesterday for my daughter...she loved it...Thanks. It's really great to know that you tried my recipe! Thanks a lot!